A tornado has destroyed a small Minnesota community and among the missing are not only a group of students but PEAK Rescue team leader Chet King. Ty Remington will stop at nothing to rescue his mentor, not even when the girl he loved--and lost--walks back into his life. But Brette needs his help more than he knows, despite her stubborn determination to push him away. And when he gets a second chance, loving her just might cost him more than he can imagine. A blogger for Vortex Storm Chasers, Brette Arnold didn't expect her adventures to land her in the same place as Ty, the guy who she walked--no, ran--from over a year ago. She had her reasons--good ones. The kind that tell her that falling for him again would only lead to heartache. But Ty isn't the kind of man to give up--not on the missing students, or on her. 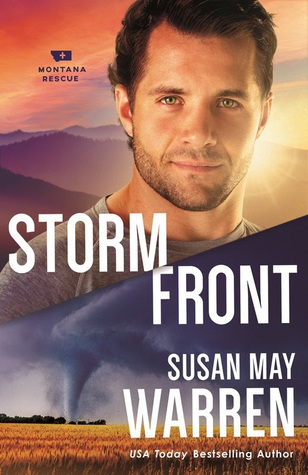 Susan May Warren continues on in this fun series full of adventure! The characters stories continue, so I do recommend starting with book one! I'll be honest in saying this wasn't my favorite book in the series for a few reasons. I hate anything that has to do with a tornado. It doesn't excite me, it makes me want to hide in the basement. But it does make for some excitement in a story. Also, the love story in this particular book wasn't my favorite that she has written. That being said, I still loved "catching up" with all of the characters and being left with another cliff hanger ending. Susan is a wonderful author and person (I met her last year and had a hard time keeping it together without freaking out in excitement). So if you haven't read any of her books, you really should! !